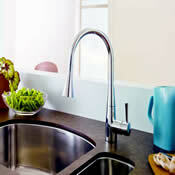 The American Standard Pekoe collection offers stylish simplicity with models to suit every kitchen design recipe. 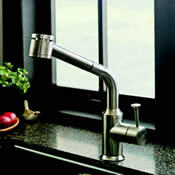 Options include high arching faucets sized for kitchen and bar sinks, pull-out, pull-down, and semi-professional models. 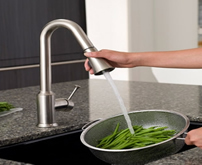 Pekoe faucets are designed to complement natural countertop surfaces with single-hole installation for a clean, contemporary kitchen-scape. 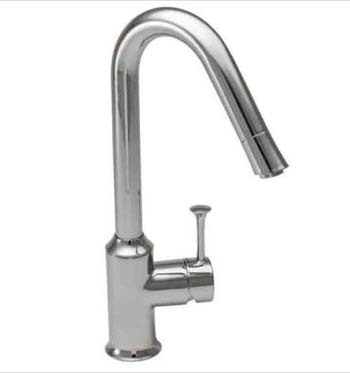 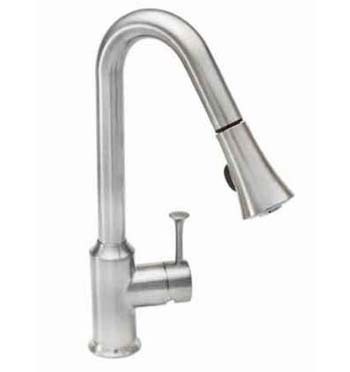 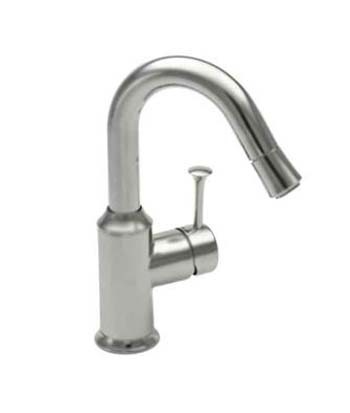 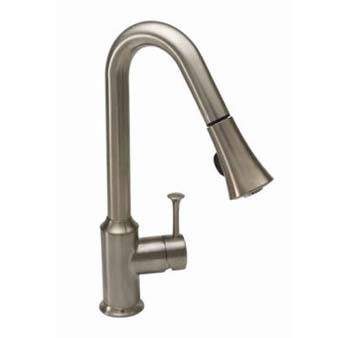 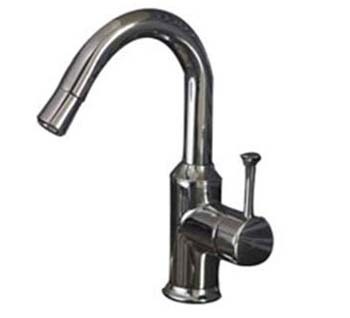 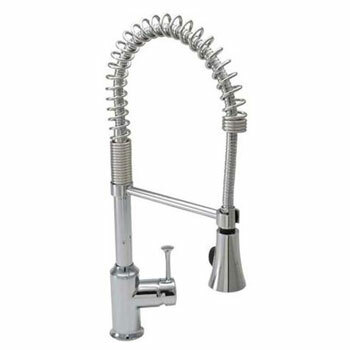 Check Out Our Other Popular Pekoe Faucets! 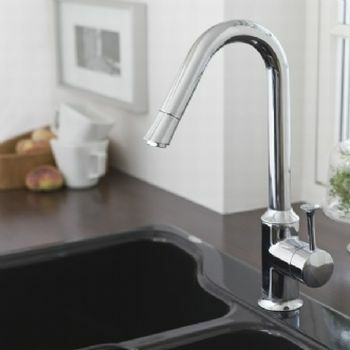 The Pekoe Pull-Out kitchen faucet's adjustable spray feature offers one-button convenience that makes washing up swift and effortless. 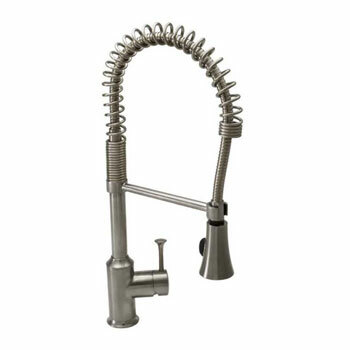 Easy-to-clean nubs on the Pull-Out head work to resist calcium deposits. 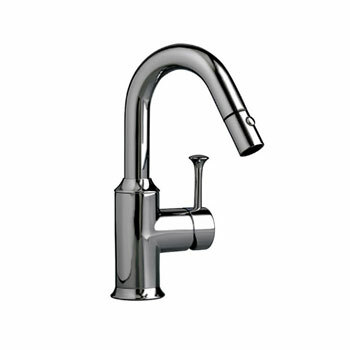 The Pekoe Extender faucet has a swivel spray that automatically descends when the faucet is turned on and retracts when it's turned off switching from spray to stream with a simple twist. 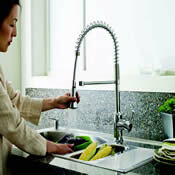 Extender easily rotates for full coverage of the sink for washing and rinsing. 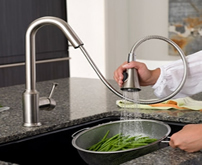 The Pekoe Semi-Pro takes style and performance to a professional level providing amazing clearance for those oversized pots and pans. 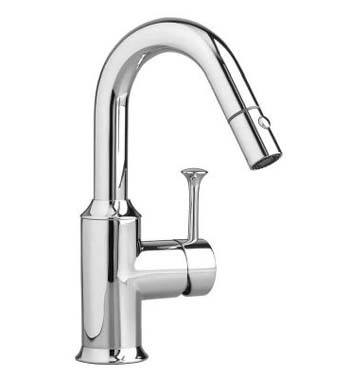 Switch from stream to spray with the push of a button.